Interstate 80/U.S. 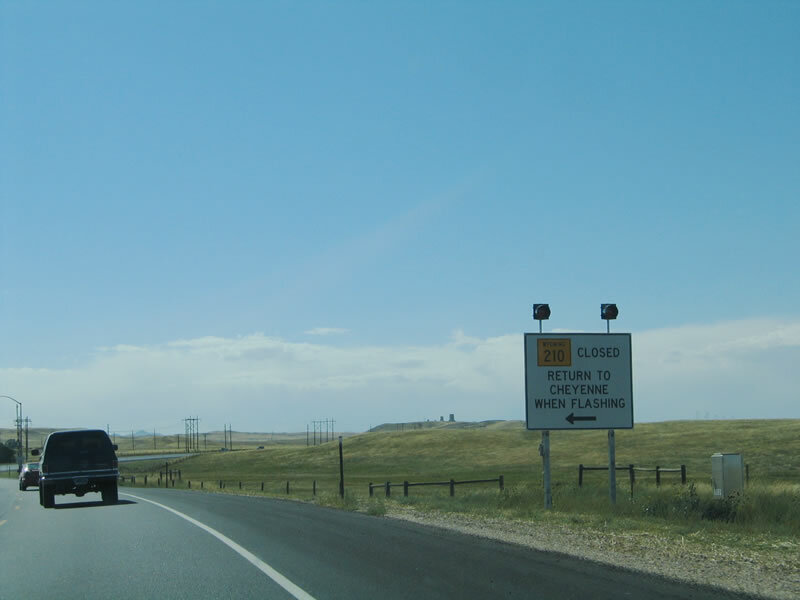 30 Signage at the Happy Jack/Wyoming 210 interchange which leads to the Sherman Hill Summit Rest Area between Cheyenne and Laramie. 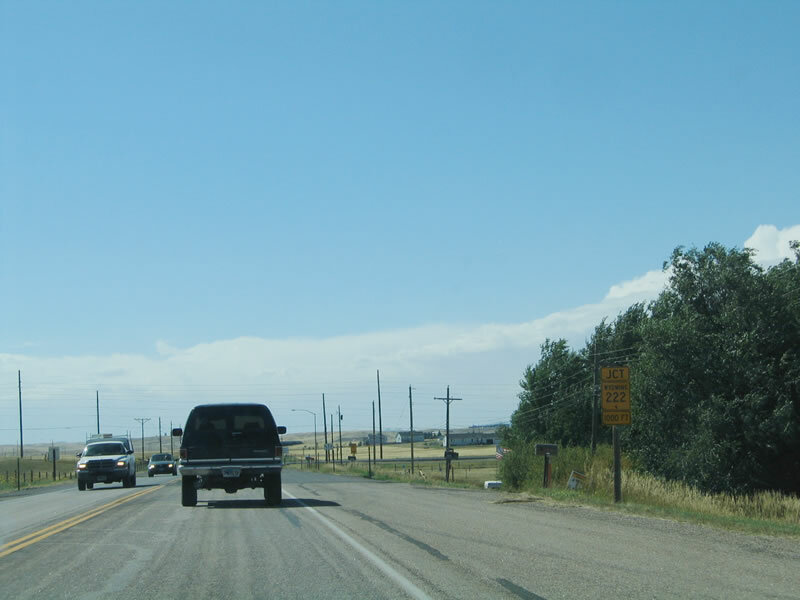 This sign is completely typical of interstate entry signs in Wyoming, which differ from other states in that the place name is given in unmodified Series E rather than mixed-case Series E Modified and lowercase letters. 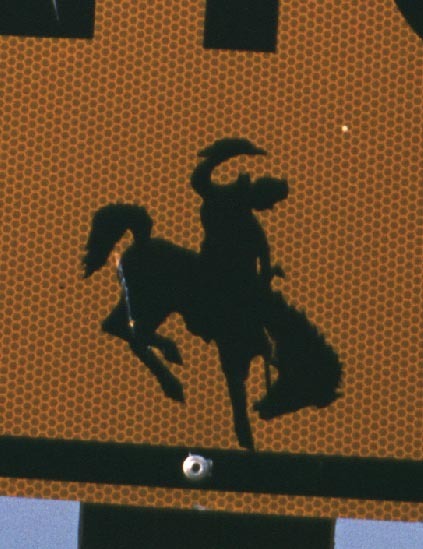 Although Wyoming follows the standard outline for Interstate route markers, the specific outline of the U.S. route marker has radius curves which are exaggerated compared to the federally standardized shield. Photo taken by Jonathan Winkler, 08/00. After departing from Interstate 80, this sign assembly provides directions to the various parks and recreational sites located near Sherman Hill. Turn right to the Summit Rest Area and the Blair-Wallis Recreation Area. 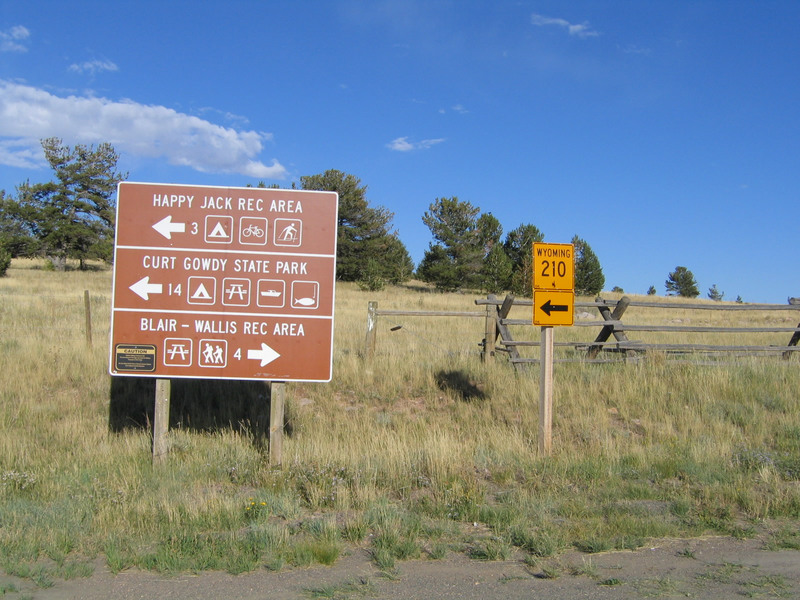 Turn left and follow Wyoming 210 east to Happy Jack Recreation Area and Curt Gowdy State Park. Photo taken 09/06/05. 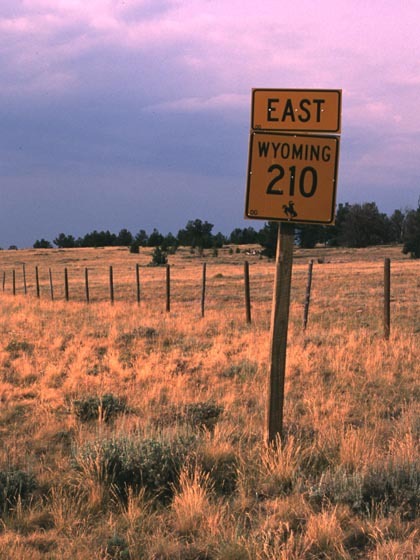 This Wyoming 210 trailblazer route marker is located near the Interstate 80 and U.S. 30 Summit Rest Area (Exit 323). 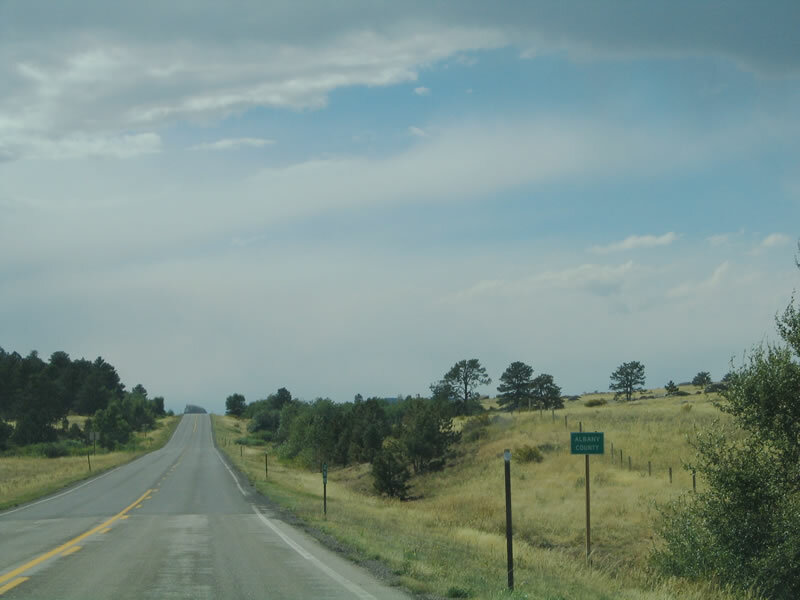 It points the way to Happy Jack Road east to Curt Gowdy State Park and Cheyenne. Photo taken 09/06/05. 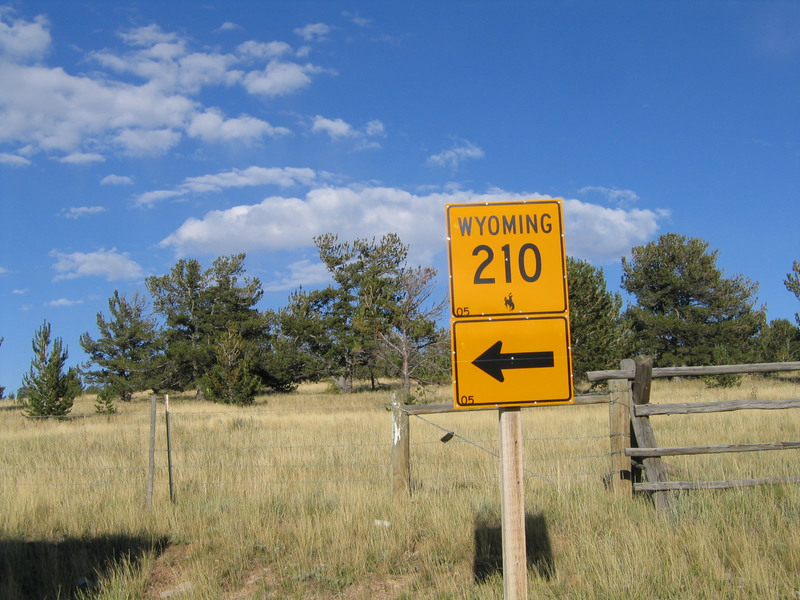 Due to topography, Wyoming 210 actually starts its "eastbound" journey by traveling slightly northwest, then curving north and then east. This is the first route marker, which is located near Interstate 80's Summit Rest Area. 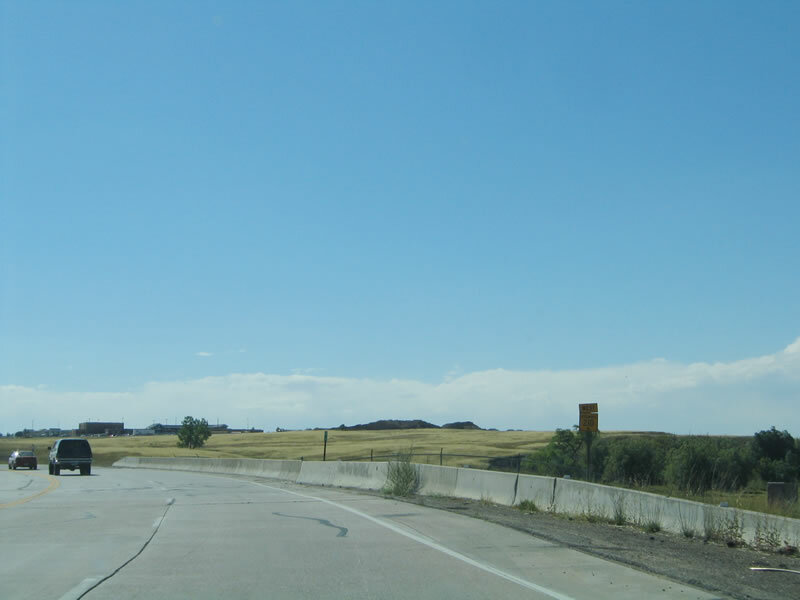 This route marker faces traffic headed toward Curt Gowdy State Park just off the Summit Rest Area on Interstate 80/U.S. 30. 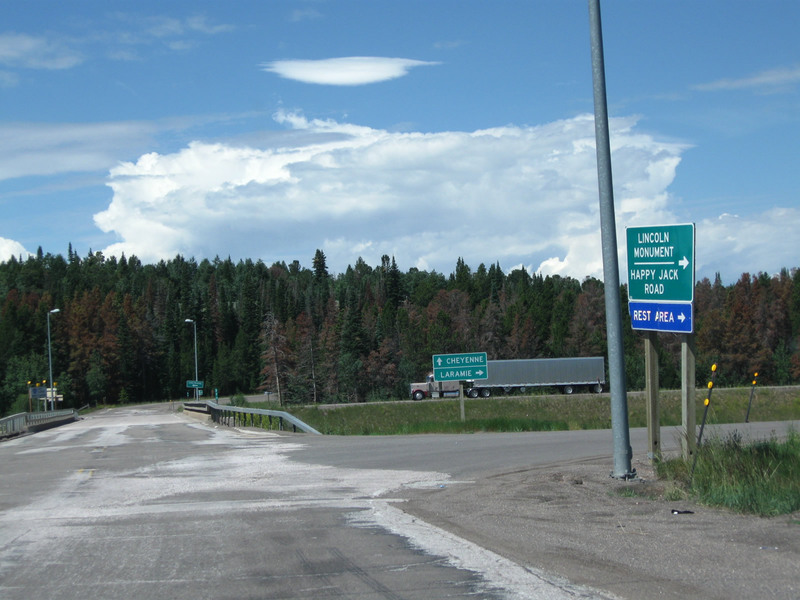 This interchange is where Wyoming 210 has its western end, just before Interstate 80 travels west toward Laramie. Photo taken 09/06/05 and by Jonathan Winkler, 08/00. 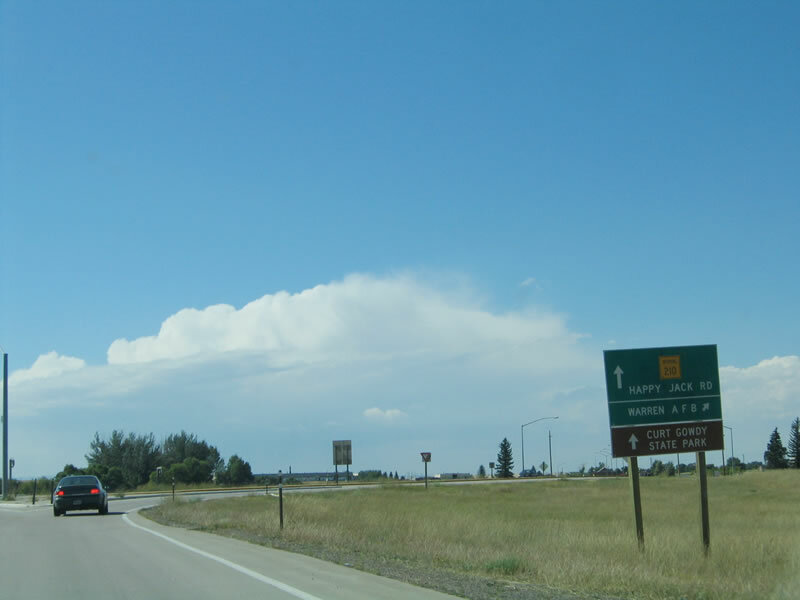 Wyoming 210 begins its westbound journey after the Interstate 25 interchange, where Missile Drive changes into Happy Jack Road near the southern entrance to Francis E. Warren Air Force Base. Photo taken 09/06/05. 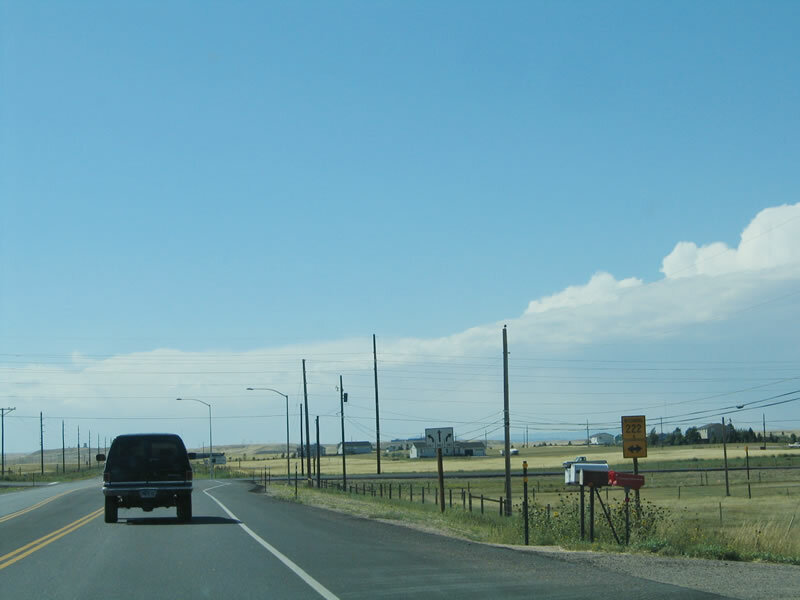 After the Interstate 25 interchange, Wyoming 210 approaches the turn off to Warren Air Force Base. Photo taken 09/06/05. 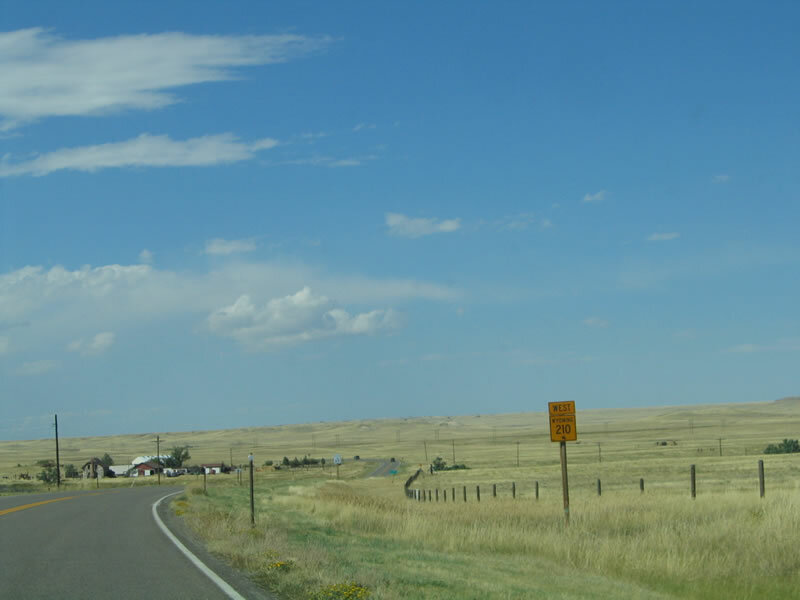 Westbound Wyoming 210/Happy Jack Road approaches Wyoming 222, Roundtop Road. 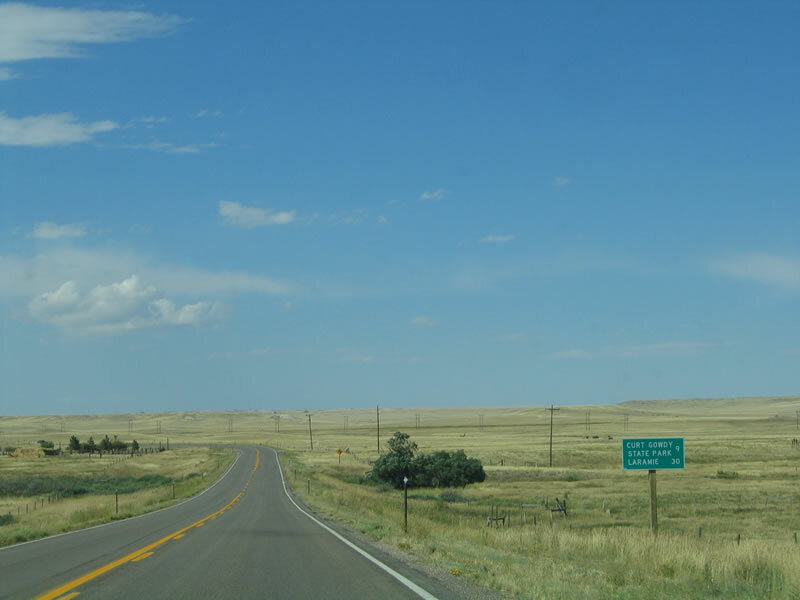 The state highway travels south to Wyoming 225, Otto Road and north to Warren Air Force Base. Photo taken 09/06/05. 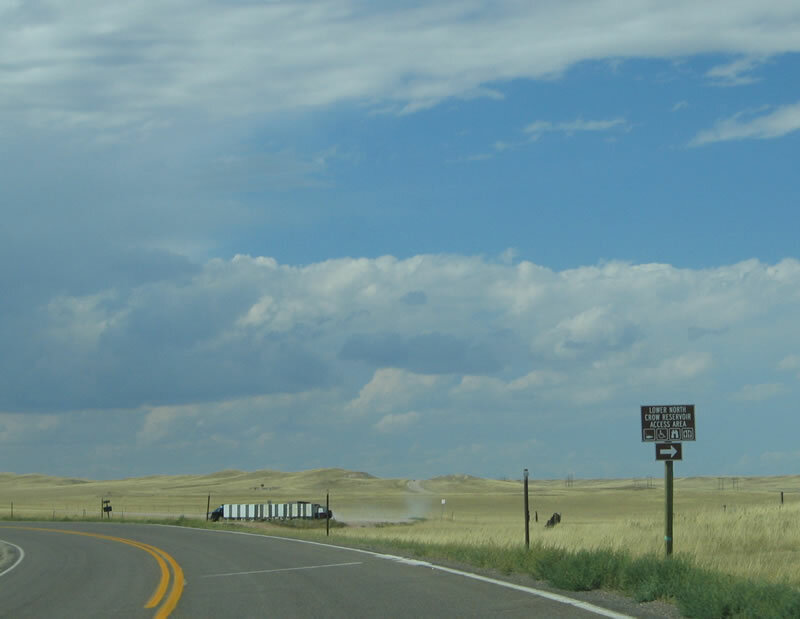 Wyoming 222 is a minor state route, but it serves as a connecting route to the military base. Turn pockets are in place for north and southbound Wyoming 222 from Wyoming 210. Photo taken 09/06/05. Leaving Cheyenne, during times of inclement weather Wyoming 210/Happy Jack Road may be closed; traffic must turn around here and return to Cheyenne at this point. Photo taken 09/06/05. 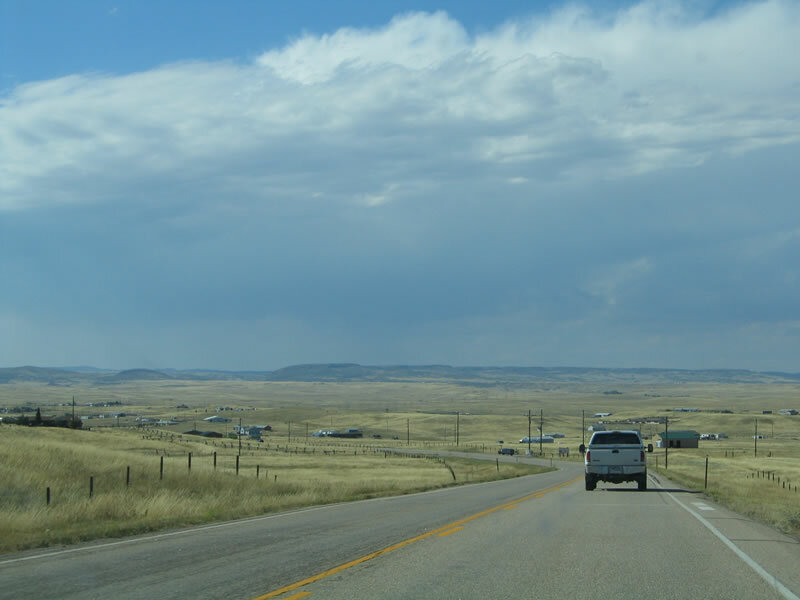 Happy Jack Road travels east toward the Laramie Mountains and Sherman Hill. 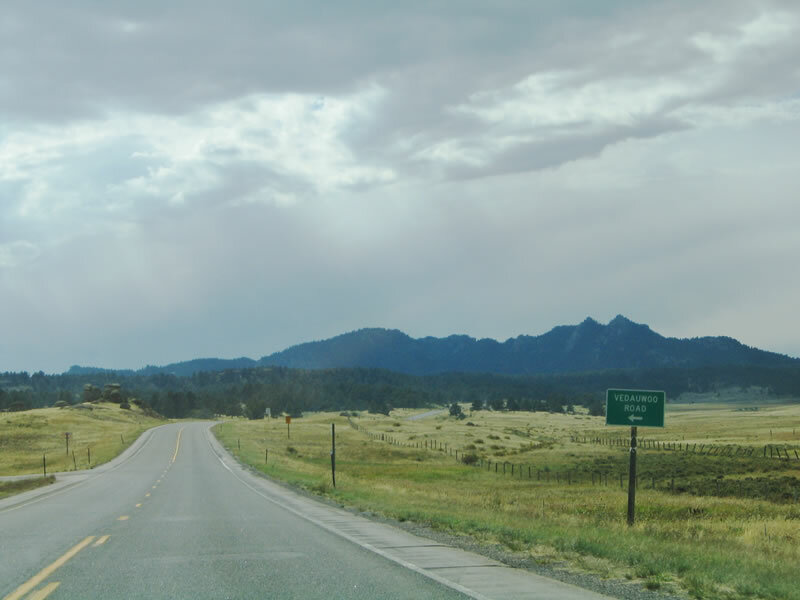 This is a more scenic alternative to Interstate 80 and U.S. 30. Photo taken 09/06/05. Some housing settlements exist along Happy Jack Road. Photo taken 09/06/05. This reassurance shield is posted along westbound Happy Jack Road. Photo taken 09/06/05. 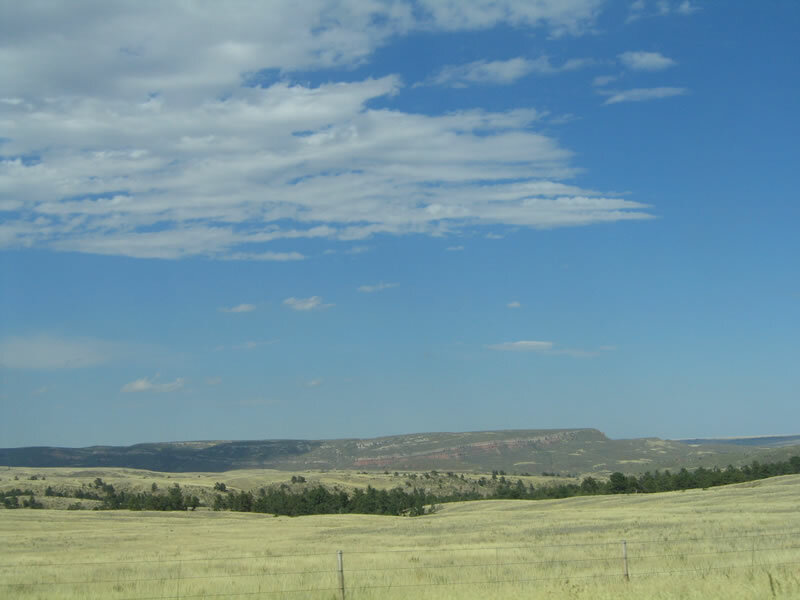 Curt Gowdy State Park is nine miles west of here, and Laramie is 30 miles west of here. Photo taken 09/06/05. Turn right here to the Lower North Crow Reservoir Access Area. Photo taken 09/06/05. 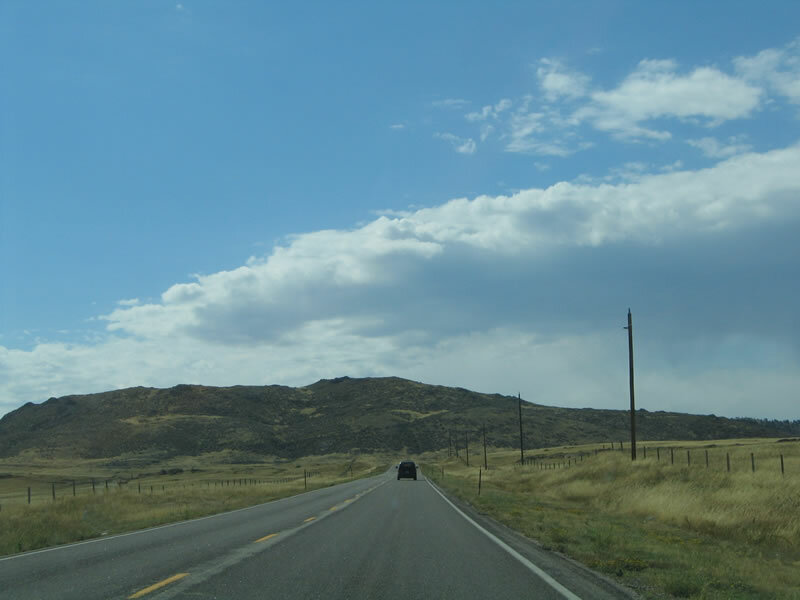 A large mountain lies immediately ahead on westbound Wyoming 210/Happy Jack Road. Photo taken 09/06/05. 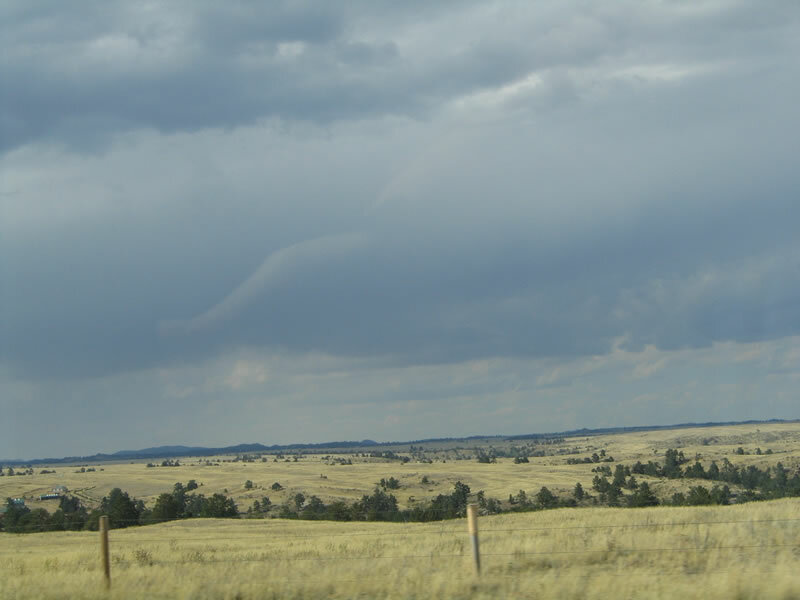 Late summer thunder clouds developed over the high plains leading to the foothills. Photo taken 09/06/05. Other views on the same day are sunny and clear. Photo taken 09/06/05. 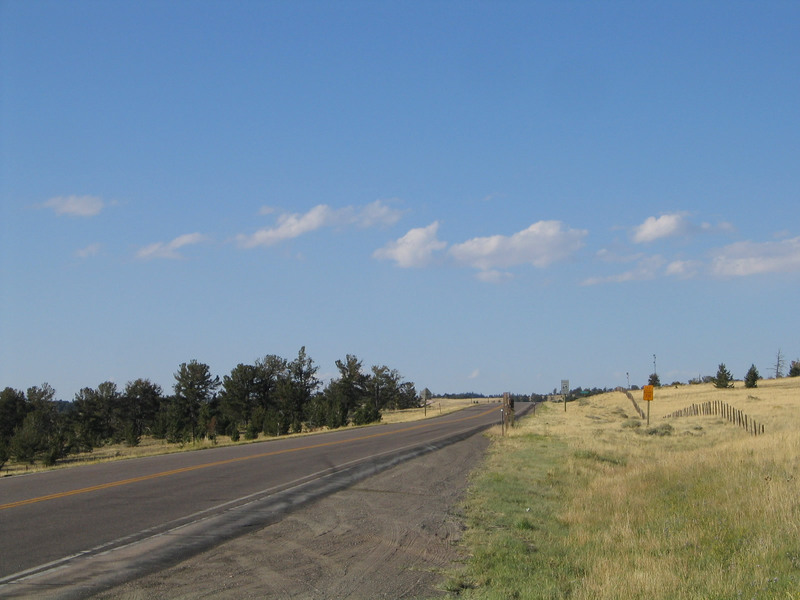 Westbound Wyoming 210/Happy Jack Road approaches Curt Gowdy State Park, which features reservoirs. Photo taken 09/06/05. 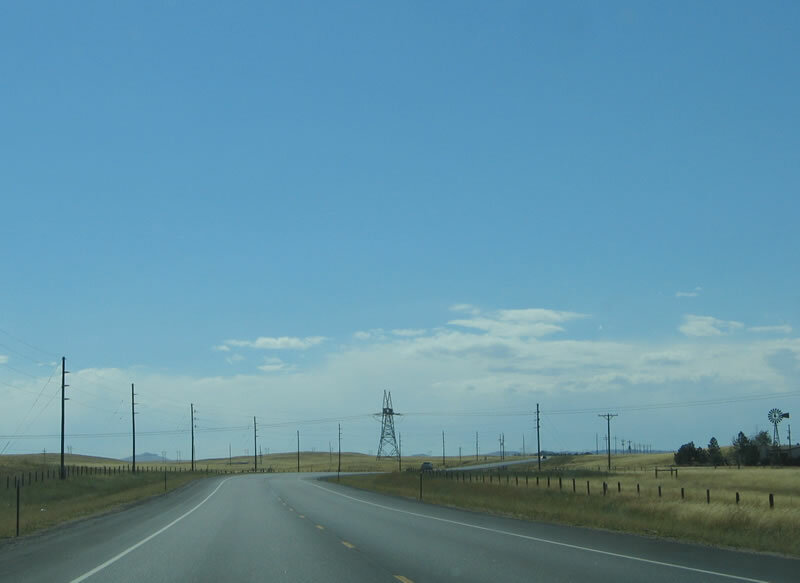 The state highway leaves Laramie County and enters Albany County. Photo taken 09/06/05. 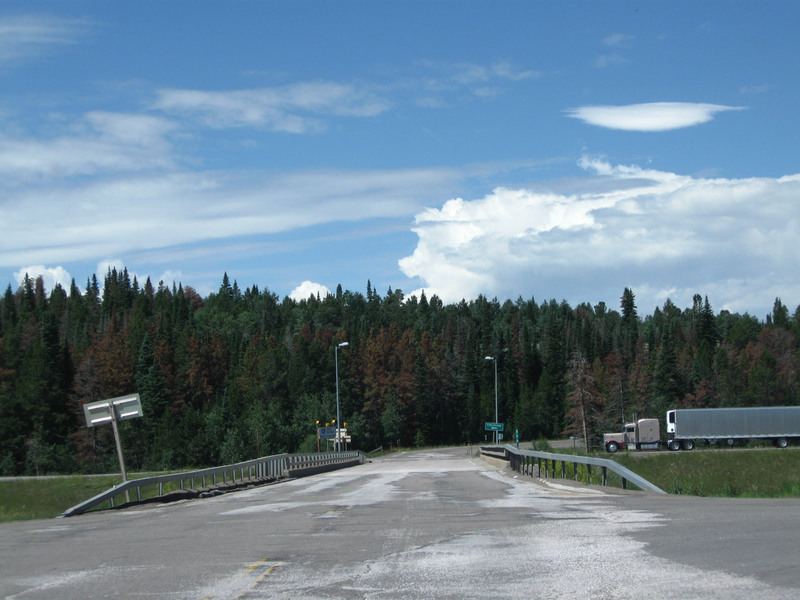 Happy Jack Road enters the Medicine Bow-Routt National Forest. Photo taken 09/06/05. 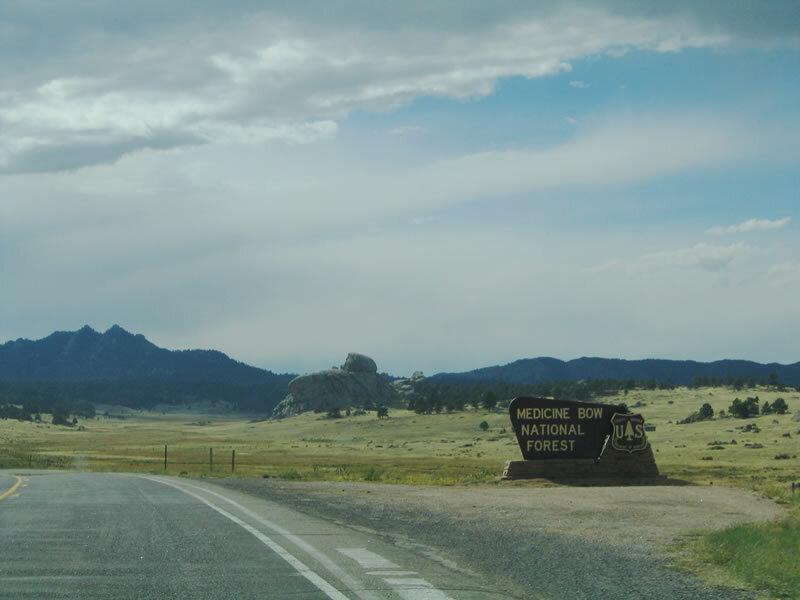 A dirt road (Forest Service Road 700) connects Wyoming 130 to Vedauwoo, home of myriad rock formations and other geological oddities. Photo taken 09/06/05. 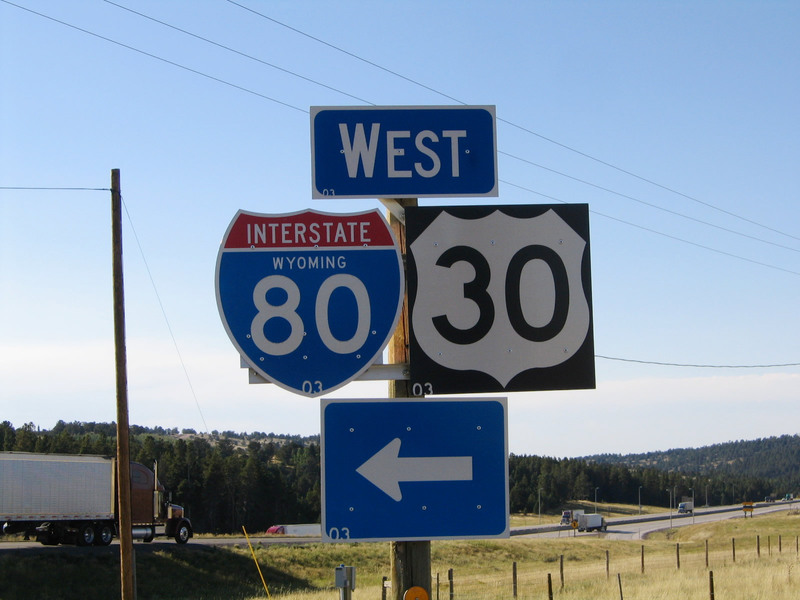 After the Summit Rest Area turn off (intersection with Blair-Wallis Road), Wyoming 210 turns south to meet Interstate 80 and U.S. 30. 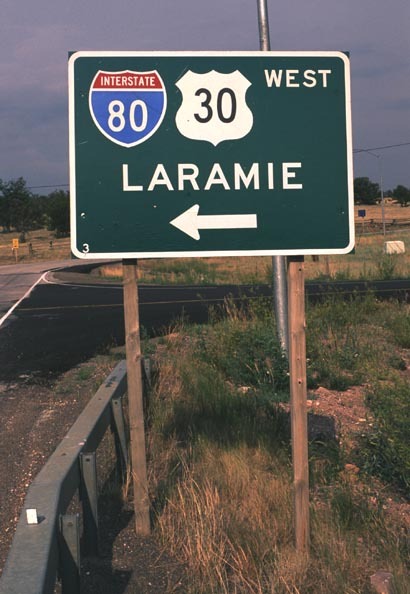 Follow Interstate 80 east to Cheyenne and west to Laramie. Photos taken 08/02/10. Leading into the rest area at the Sherman Hill Summit is this sign; continue straight ahead toward Blair-Wallis Recreation Area. Photo taken 09/06/05. 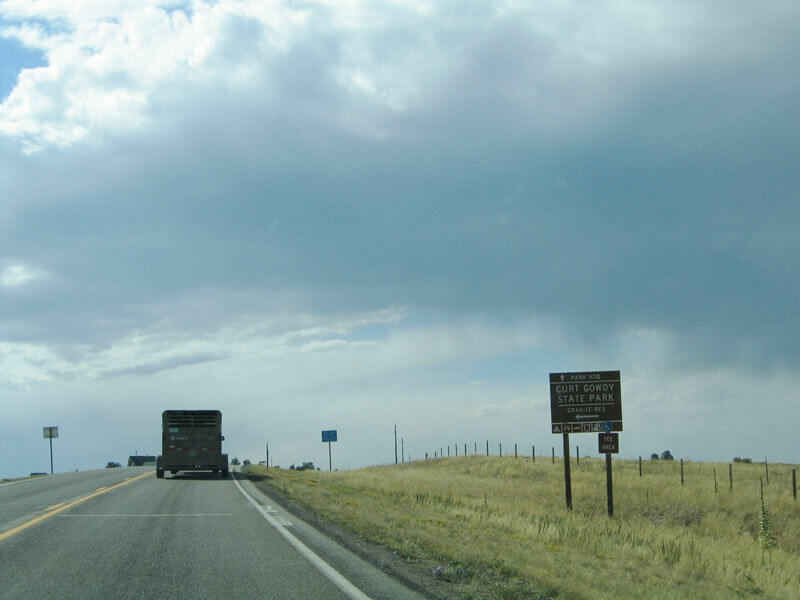 On the road leaving the Summit Rest Area, a left turn takes traffic west on Wyoming 210 to the interchange with Interstate 80 and U.S. 30, while a right turn follows Wyoming 210/Happy Jack Road east through the Pole Mountain area toward Curt Gowdy State Park and Cheyenne. Photo taken 09/06/05. Page Updated September 5, 2014.